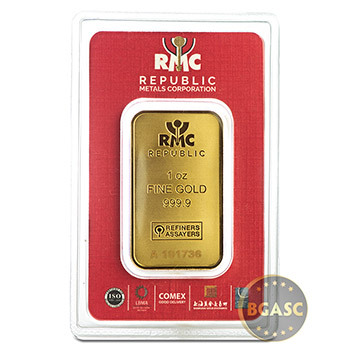 The Republic Metals Corporation (RMC) 1 oz Gold Bar is a 24 karat ingot produced using COMEX registered .9999 fine gold, refined and manufactured completely on-site at Republic Metals in Miami, FL. 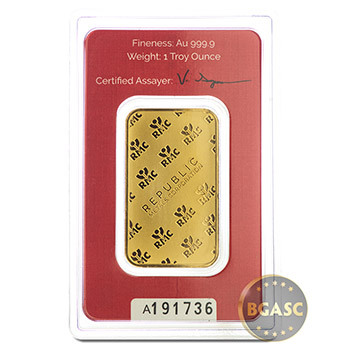 Each RMC 1 oz Gold Bar you buy from BGASC is brand new from the mint, encased in a heat-sealed, tamper-evident blister package complete with assay card. 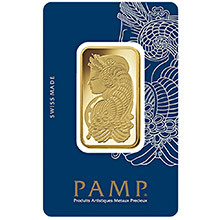 Each RMC 1 oz gold bar is stamped with its weight, fineness, and the RMC mint logo and contains its own unique laser-etched serial number to assist you in cataloging your precious metals portfolio inventory. 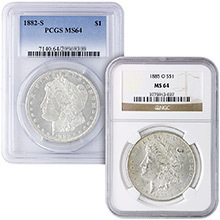 RMC produced 3 different designs of these 1 oz bars. You may receive either design. 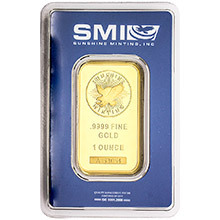 These secondary market gold bullion bars are still sealed in original mint packaging but the packaging may have minor scuffs or other surface marks due to being previously owned, and are therefore priced accordingly. 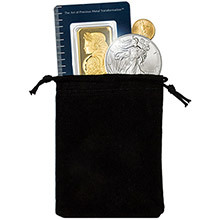 Secondary market gold bars such as these can be purchased at a much lower premium than brand new products, making them a very cost-effective option. 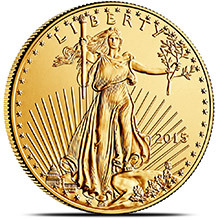 Each of these gold bars have been tested for gold content and purity to ensure authenticity. If you have any questions about this RMC 1 oz Gold Bar or the buying process, feel free to email us or call us toll-free and one of our representatives will be happy to assist you.